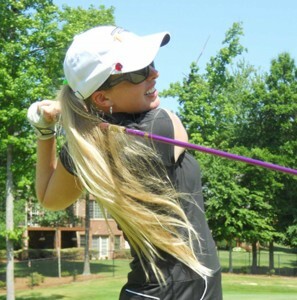 Heather Angell, a native of Winston-Salem, NC, picked up the game of golf at the age of 12. She played golf for The University of North Carolina at Chapel Hill and graduated with a BA in Marketing and Advertising. She also earned a Masters Degree in Sport Management from High Point University. In 2003, she was named as the Assistant Women’s Golf Coach at High Point University and assumed the Head Coach responsibilities for a period of time. As a member of the LPGA and LPGA Symetra Tour and Canadian Tour since 2003, Heather’s recent accomplishments include winning the 2012 Ohio Women’s Open and 2nd place finish in the 2012 Maryland Women’s Open. She has been a member of the LPGA Player Promotional Team and LPGA Professional Development and Member Services Advisory Committee. Heather has taught juniors and adults alike, as well as run VIP clinics around the country and has participated in many celebrity charity tournaments nationwide. She has worked with top instructors from around the country and learned the mechanics of the golf swing, as well as written a technical training manual for the golf swing and a video CADD program. She earned her PGA Class A certification in 2015 and also instructs in Florida during the winter. 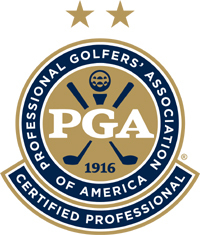 In 2017, Heather earned her PGA Certified Status in Teaching and Coaching. In her spare time, enjoys working out, photography, website design, knitting, and reading. Heather has her own web site (www.heatherangell.com) and a blog (eatplaywin.blogspot.com), where she helps athletes with food allergies navigate and succeed in their sport. She also spends her free time doing charity work for the Junior League of Winston-Salem, where she has served as the Editor for the semi-annual magazine. Heather is actively involved with The Crosby Scholars Program as a member of the golf committee and a high school mentor and served on the boards of the Forsyth Education Partnership and Reynolda House Young Professionals After Hours. She is currently on the board of the New Benefactors of Old Salem.